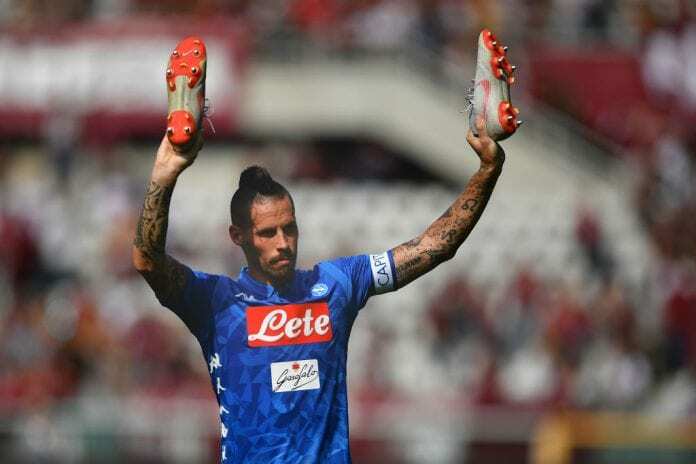 The Italian outfit had decided that Marek Hamsik’s transfer to the Asian club is put to a halt after there was a concern on the payment of the transfer fees. The 31 year old was expected to move to a Chinese club, Dalian Yifang for a fee of €15m earlier this week. However, Napoli have called a halt to the deal, blaming a problem with the agreed payment methods. The club had initially not taken a name, for the club to which Hamsik was being possibly sold to. There was no initial indication as to whether the deal had collapsed entirely or if Hamsik’s move may still happen, though in recent times the news looks positive. The Chinese transfer window is open until February 28. The current situation is that after putting the deal on halt for some time, fresh negotiations have resumed, as there still is a lot of time left. Napoli are currently 11 points behind league leaders, Juventus. Hamsik scored in the 3-0 win over Sampordia a few weeks ago and they had a crucial tie upcoming against Fiorentina, which was a goalless draw. With Juventus making successive draws in Coppa Italia as well as Serie A, this would be the right time for Carlo Ancelotti’s men to bounce back on title hopes. A lot of top Premier League giants have been keen on the years in bringing the star to England and might now consider a move for his services in the days to come. If the player wishes to make a name for himself in the top flight of English football, he always does have that option because of his quality. Age will always be a key factor on whether or not he comes to the most watched league in the world or not. A recent report also confirmed that the Naples based side had given Dalian Yifang an ultimatum to get the deal done. The two parties were in talks but now the club from Italy is keen on knowing the player’s future and finalizing this deal for his services. It must be that Napoli now want to cash in on his services, knowing their fate in the top flight of Italian football and will then try to make good use of the money they get. Next articleManchester United’s Premier League Player Of The Month Fails To Deliver In Crunch Situation? Are Arsenal Slowly Turning Into A Mid-Table Club Under Arsene Wenger?